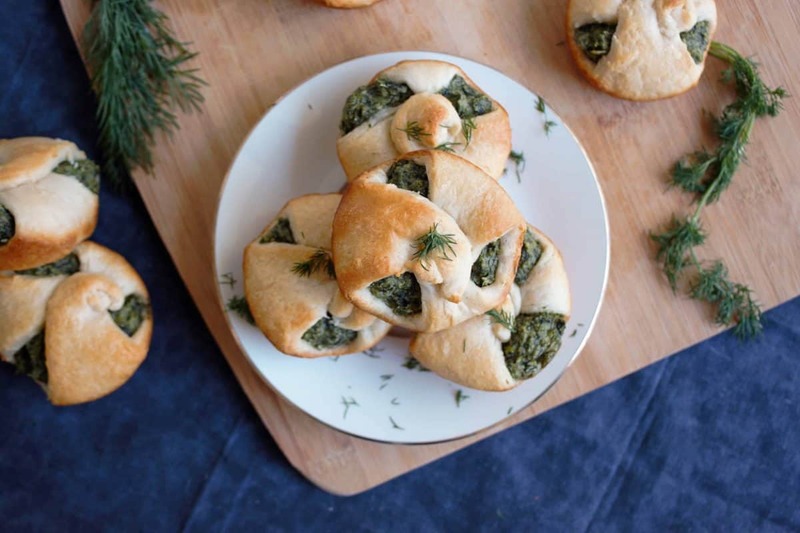 Crescent rolls have always been a favorite of mine – so you can imagine my excitement to find out most store-bought brands are vegan, perfect for this spinach puff pastry recipe! 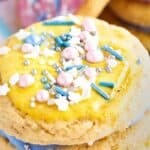 They’re flaky, buttery (vegan butter! ), and soft on the inside. Just perfection really. 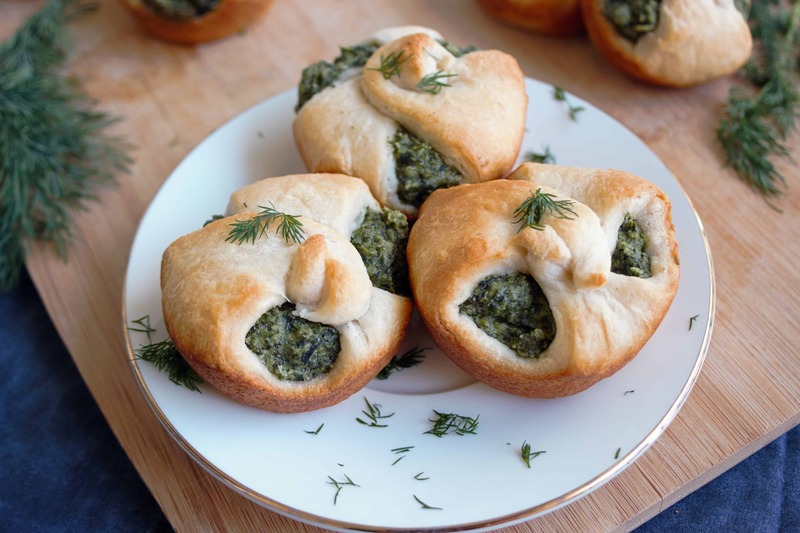 So when I was thinking about how I wanted to create my own “spinach puff” recipe, I immediately chose them over puff pastry! For this recipe I used the Organic Crescent Rolls from the brand Immaculate Baking (I got mine at Whole Foods). I love that they are vegan and have just a few, natural ingredients. For the super-creamy spinach filling, I basically used an old Spinach-Artichoke dip recipe I made a while back, and enhanced the flavor. 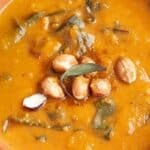 Like I’ve said before, cashews are so underrated – they can be used in place of any creamy sauce you might need, sweet or savory! After I soaked and blended them, I tossed in some frozen spinach (be sure to thaw and remove as much moisture as possible! ), garlic powder, nutritional yeast, plant milk, green onions, salt and a ton of fresh dill. Once combined, you’ll be blown away at how flavorful and smooth it is! This filling really could be a dip itself. Once you have your filling take your crescent dough, rip off the triangle cut off, and squish it down. I like to have it as thin as possible in order to fill it up with as much filling as I can! Add a good 2 tablespoons or so of the filling to the center of the dough. Now, grab all 3 corners, bring to the middle, and give them a slight twist as you squish them together – they should hole the shape quite well. Toss them in an oiled or non-stick cupcake pan, and finish the rest of the rolls! I added the slightest amount of oil to the top to help them brown, and they’re ready in under 15 minutes! 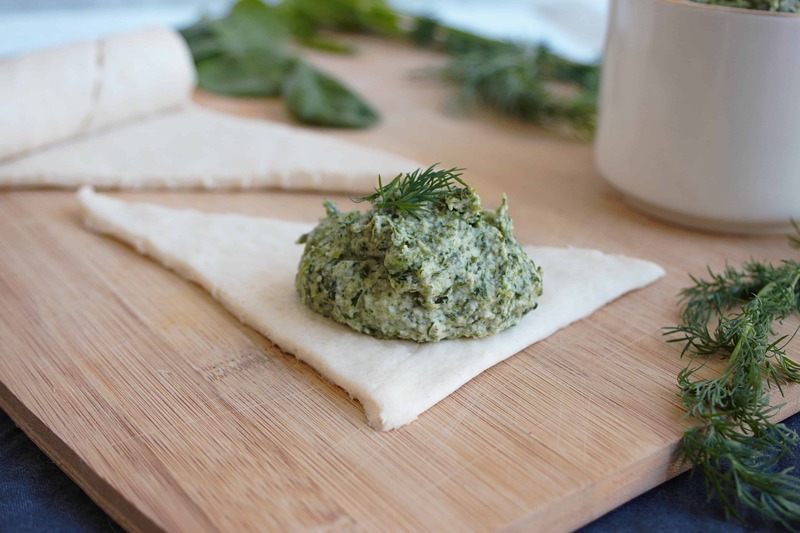 The combination of the creamy, flavorful filling (I absolutely love a strong-dill flavor! ), and the crispy and soft crescent roll is a match made in heaven! 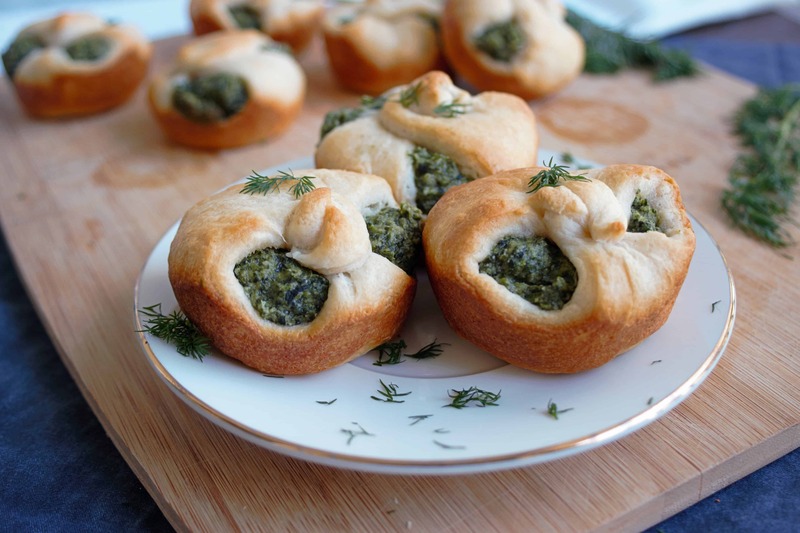 These are my new go-to appetizer for family gatherings, especially the holidays! They’re also good enough to have for breakfast, or a midnight snack! 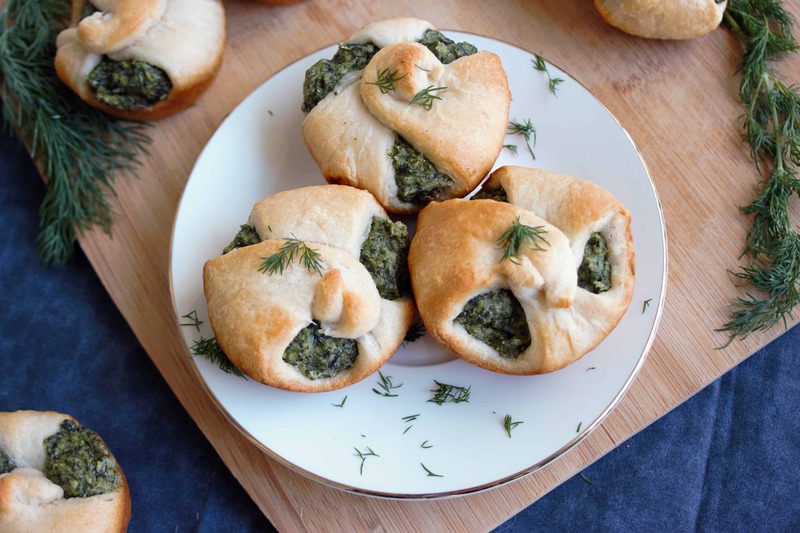 Warm and crisp spinach puff pastry bites filled with a creamy spinach-dip filling! 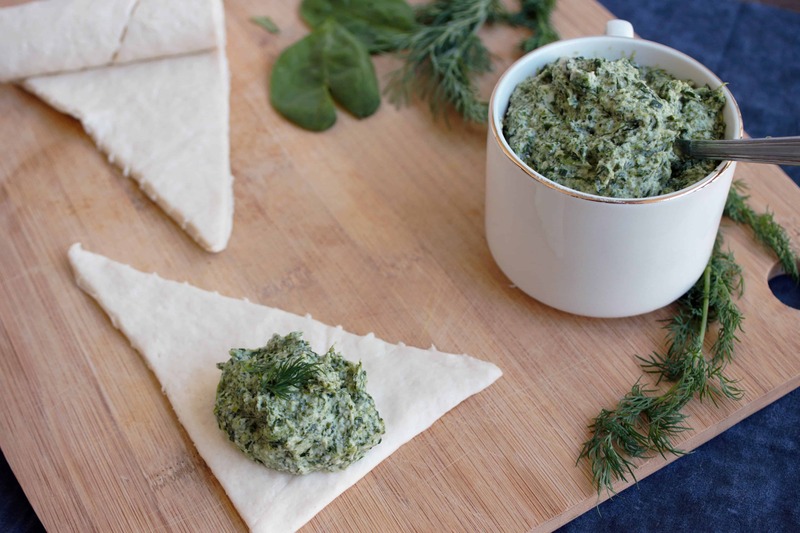 A perfect, healthy appetizer for the holidays that's also dairy and oil free! Thaw spinach for at least a few hours. Soak cashews overnight in room temperature water, or in boiling water for 15 minutes. Drain and add to a blender along with the plant milk, salt, garlic powder and nutritional yeast. Blend until smooth and creamy, set aside. Pat spinach dry with a towel or with a few paper towels. There will be a lot of moisture, so get as much out as you can. Add dill, spinach, and green onions to the blender and pulse until evenly incorporated. Squish down croissant rolls into more of a triangle shape. Spoon in spinach mixture in 2-Tablespoon amounts onto croissant rolls. Grab all three corners and pinch together in the middle, squishing down the top to set. If you want them to have a nice golden brown top, you can add a smidge of oil before baking. Bake for 12 minutes or until golden brown. Enjoy! Those puffs look delicious!!! 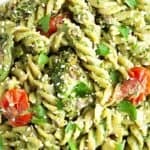 I love spinach so I want to try this recipe asap. Thanks so much!! I love it too – it’s a great way to sneak in some greens! 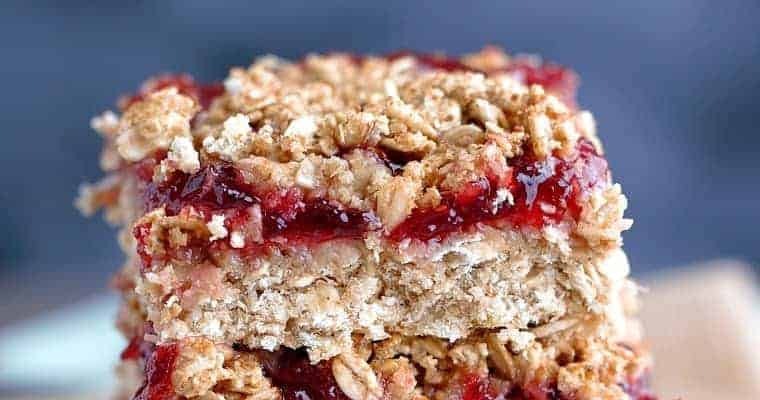 No joke- I wish I had these ingredients right now because looks delicious! Thank you so much! 🙂 I wish I had more!! 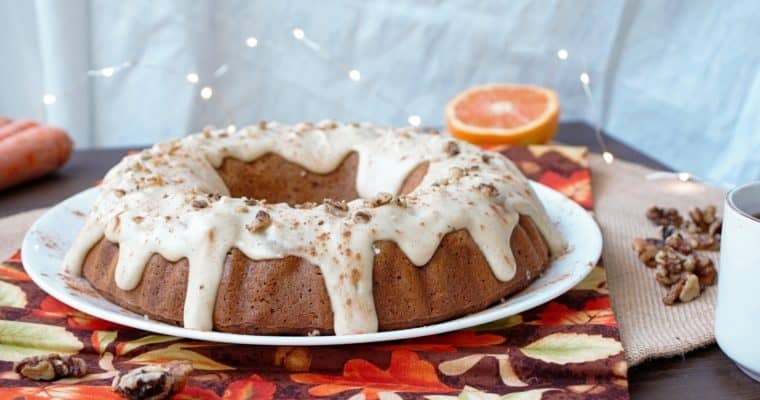 Something nice to try over the holidays, thanks for sharing. These look really tasty, I could see them paired with some baked chicken. Thank you!! I wasn’t sure if the combo would turn out, but it adds a perfectly subtle “cheese” taste! And yes, any sort of dairy-free milk will work fine! I used cashew milk as it’s my staple milk, but they should all give you the same consistency. 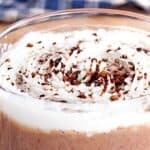 If you use coconut milk it may be a bit thicker or creamier though!